Xavier Queipo holds degrees in biology and medicine and surgery. Since 1989, he has lived and worked in Brussels, Belgium. 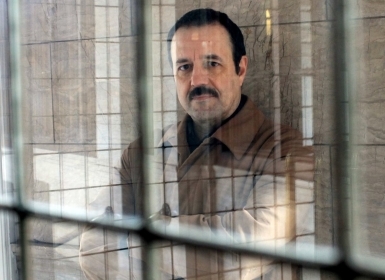 He has published numerous works of fiction, among them Arctic and Other Seas (1990), The Northwest Passage (1996), Kite (2001), Dragoness (2007) and Extramunde (2011), and has been awarded many prizes, including the García Barros and Xerais Prizes for best novel. Several of his works have been translated into French, Portuguese and Spanish. Aside from writing poetry, essays and children’s literature, he is also a renowned translator into Galician from English and French, his co-translation of Ulysses by James Joyce garnering universal acclaim, and has collaborated with artists and musicians in Galicia and Brussels. The novel Kite (200 pages) was inspired by the case of Giovanni Pontiero, the English translator of José Saramago’s Ensaio sobre a Cegueira or Blindness. The translator himself started to go blind as he was translating Saramago’s novel and later died of his illness. This is the inspiration for Queipo’s novel, though the characters and events in the novel are not directly connected with Saramago or Pontiero. ‘Sure. Don’t worry. I’ll be here till the end of the film,’ Francis replied with a rush of confidence. They sat there, holding hands, focused on the screen and glancing at each other only occasionally, but with a good feeling. One beside the other. The other beside the one. Together. Hands entwined. Lives shot through by an invisible arrow. Presumably happy. When they left the cinema, hands permanently entwined, kissing every now and again, stopping every few steps to gaze at one another, to make sure the earth wasn’t moving beneath their feet, to reassure themselves that reality was still there, just as they had dreamed and contemplated it, astonishing and close to perfection, a more intimate knowledge seemed to exist between them, with more history and more harmony than any couple that ever lived. Some people have a name, a label for this kind of instant passion – or perhaps all passion is instant in a way, stopping time and marking out a before and an after. Rose spoke of infatuation. It could have been. Francis said apaixonamento, which means the same thing, but in his native Galician, something like fascination or a feeling of being bewitched by the other person, or perhaps uncontrolled passion, or some other form of agreed submission, of biocoenosis created from a ray of light. Perhaps it was. Perhaps, too, they were made for each other, like in the romantic novels sold by the sack load from dockside kiosks, to be read by far-away sailors or girls awaiting the return of their salty princes, where the lovers seem to be predestined, where impossible love affairs exist between siblings separated by a grim childhood of alienation or migration. Perhaps it was simply a coincidence, fruit of the purest chance, the kind trusted only by aficionados, or those illuminated by the irrational stigma of belief, or even sitting, waiting for love in an enormous auditorium, the sort you hardly ever see any more.